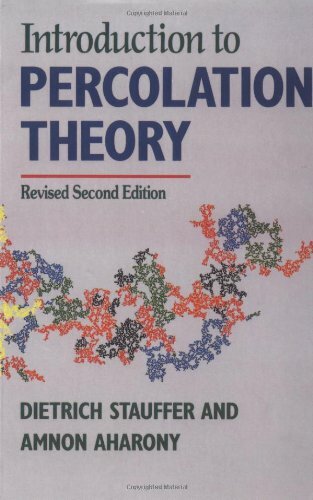 Percolation theory deals with clustering, criticality, diffusion, fractals, phase transitions and disordered systems. It provides a quantitative model for understanding these phenomena, and therefore a theoretical and statistical background to many physical and natural sciences. This book explains the basic theory for the graduate while also reaching into the specialized fields of disordered systems and renormalization groups. Much of the book deals with systems lying close to the critical point phase transition point, where the subject is at its most interesting and sensitive. This text is ideal for those who deal with systems which exhibit critical points and phase transition behavior. University Professor of Theoretical Physics since 1977, research mostly with computer simulations (Monte Carlo), biophysics since 1986, ageing since 1993, econophysics since 1998, sociophysics since 2000, linguistics since 2004.